A few pieces of news about food hit the headlines recently, and they piqued my interests, albeit cynically. Prices of hawker food, that $4 million char siew and property deal, Penang’s rule on “local hawkers only”, a 24-hour street food tour and that social enterprise bak kut teh hawker stall hitting it big in Indonesia – there’s too much chatter for us to keep silent on. Hawker Food Price Rise: Is it inevitable? 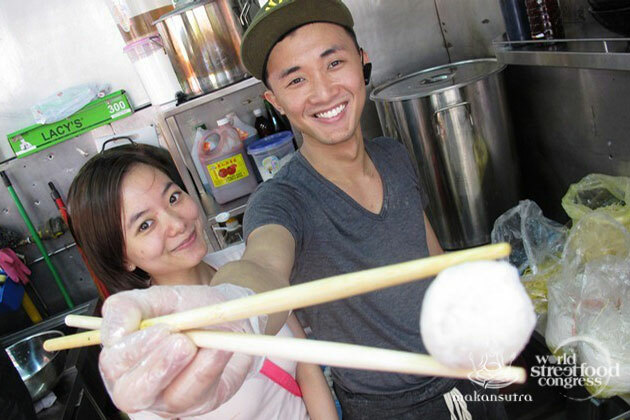 He raised his fishball noodles to a market-familiar price of $3.50, up 50 cents from some months back. These are fishballs that are handmade at 5am each day. 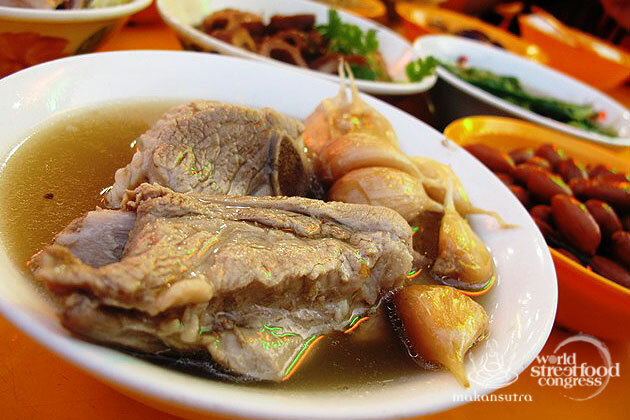 They go through hours of boiling, and electricity costs accompany such culinary traditions. Overnight, more than half the regulars avoided young Douglas Ng and his Fishball Story stall at Golden Mile Food Centre. The thing is: he is not allowed much space to complain when the prices of raw ingredients, gas and transport go up. Such things directly affect his cost. The reality is that hawker food prices are set to rise as inevitably as basic salaries due to natural cost factors impressing on them. Those few popular $1.50 and $2 meal offerings will be history soon. But the bright side is: the overall price of a meal at the hawkers is very affordable, bordering on cheap, compared with many lesser- or as-developed nations. Another silver lining is there are some authorities and influential leaders looking out to keep prices fair and affordable. And twenty-something Douglas, if he survives this exercise, will be around to serve your children a traditional bowl of pleasure you grew up loving, too. Obviously no recipe is worth that much in this universe. You can perhaps buy the rights to a 3-star Michelin chef and even set up his franchise outlet (or two) here. The buyers, Aztech Group, paid about half the amount for the double-storied property. Sure, Kay Lee’s recipes may look good, but it’s one of those nice-but-not-memorable versions. There are loads of better secrets out there. And this talk of the company setting up “central kitchen operations” and expanding to mall outlets throughout the island… well, I can’t wait to see it bear fruit, when it at all happens. That would somewhat address the continuity of our food heritage. 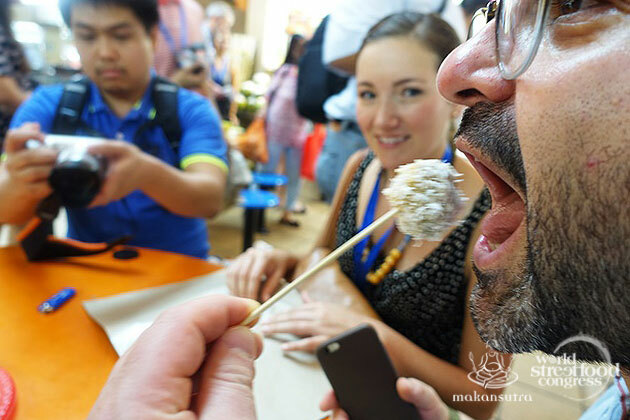 This concept is not new, though they had announced it some time back and will be fully implementing it over two years, the key reason for this concept being that they want to protect the rich and unique culinary heritage of Penang. Arguably, they have the most colourful street food culture in Malaysia, perhaps even in Asia, but they should know that this may not lead to the desired results. Just observe Singapore. The “Singaporeans and PR only” rule for owning and running hawker stalls had been in place for years now. And? Is it showing results? Is our food heritage preserved and passed on? More likely, it will pass away slowly. It was legislated years ago with a mind to protect these entry-level street food entrepreneurial jobs for Singapore (as if the line for these jobs go out the back door). 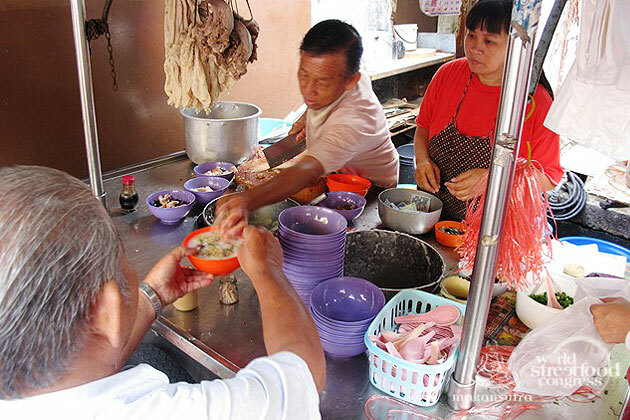 The amount of empty hawker stalls are growing each day as aged hawkers retire. 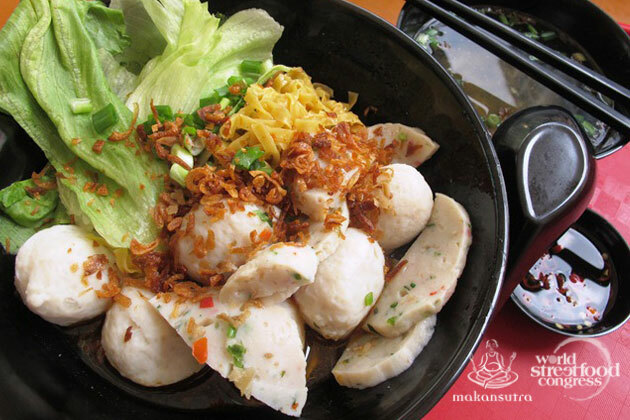 The fact is: there are no proper culinary heritage education and business infrastructures in Singapore or Penang. And heck, if an Indonesian can fry up a die-die-must-try nasi goreng kambing, no one will complain about their nationality. In fact, many of the original hawkers had migrant roots. Food here is democratic. No one judges who you are if you do your job well. 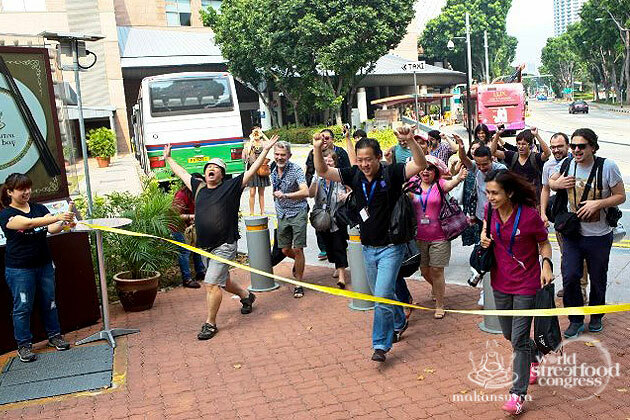 In conjunction with the next World Street Congress in April 2015, a 24-Hr Street Food Frenzy Safari was conducted recently as part of its media conference. 25 international and 5 local media decided that they had the chops to bear with it. 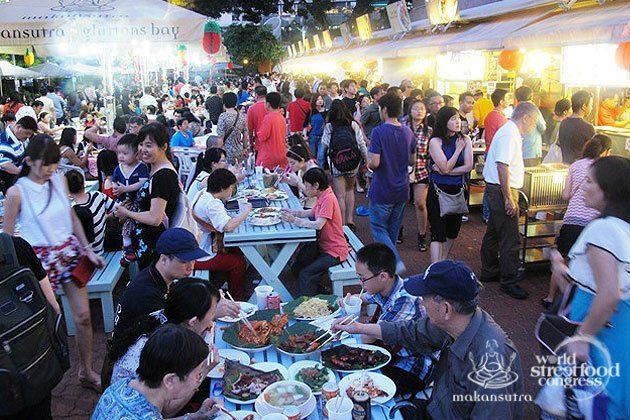 So Makansutra, the organiser, took them through almost 30 stops and delivered about 40 dishes and items into their systems. 90% of them made it through the 1440 minutes of eating. The idea was to show them just what a city with a lively street food culture was made of -the people, the heritage, the entrepreneurs, the young hipster hawkers, government and private sector involvement, the opportunities in tourism and trade, the love and the need for basic food offerings. Some of the writers and bloggers in their follow-up, understandably, could not get past the 24 hours and 30 places and flavours to pick up on that, missing out on the bigger picture of the hot potato potential of world street food culture at large. The others, so far, nailed it and realised it was not all about eating and staying awake.